Hi friends, I love reviewing books, it gives me a chance to get a sneak peek when they first come out and the opportunity to create something from the book. 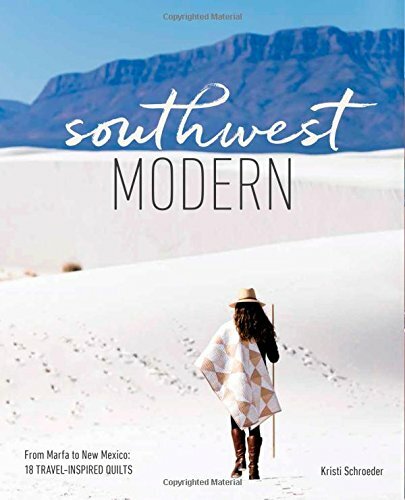 I especially LOVE reviewing books when a good friend of mine writes one - and today's the day that I share Southwest Modern by Kristi Schroeder. I met Kristi a few years ago and instantly hit it off - she's one of the most genuinely sweet people you will ever meet and I felt like I had known her for years (funny how following someone on Instagram does that). 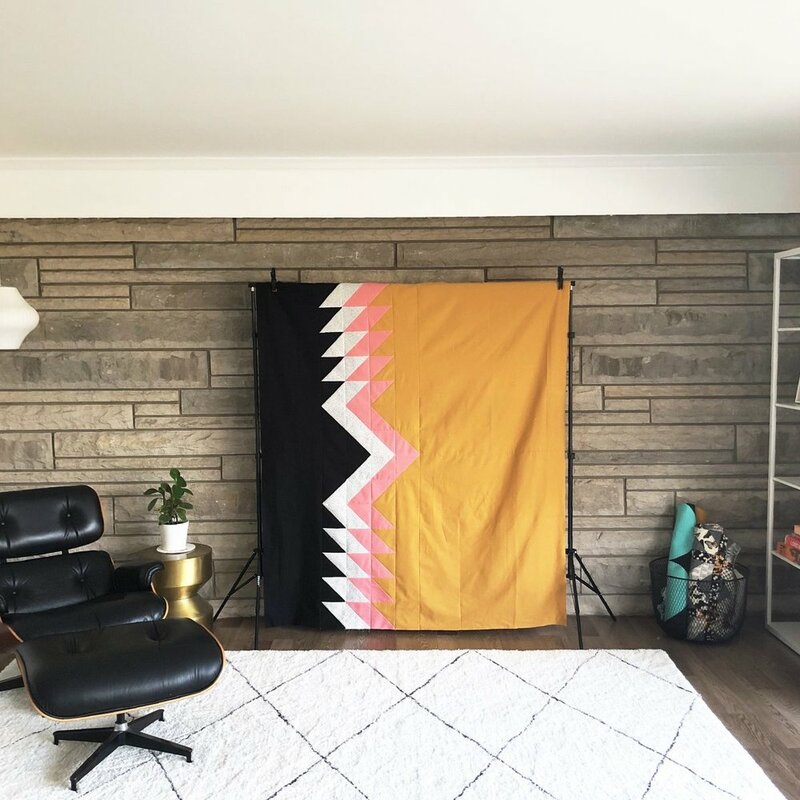 We share a love of modern, minimalist, solid fabric, negative space quilting and have a pretty similar aesthetic as far as design goes. 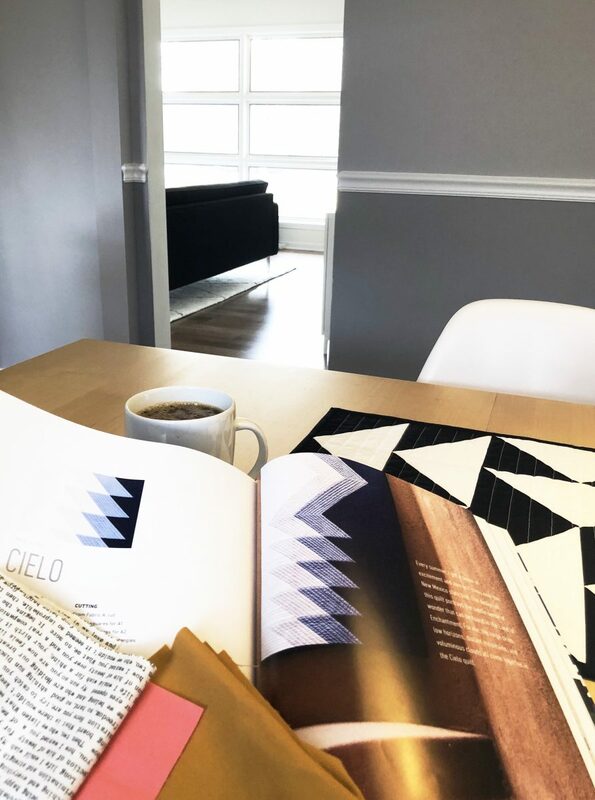 She shared her book writing journey with me from the very beginning, so I feel pretty lucky to have seen some of these designs from the moment she first designed them. 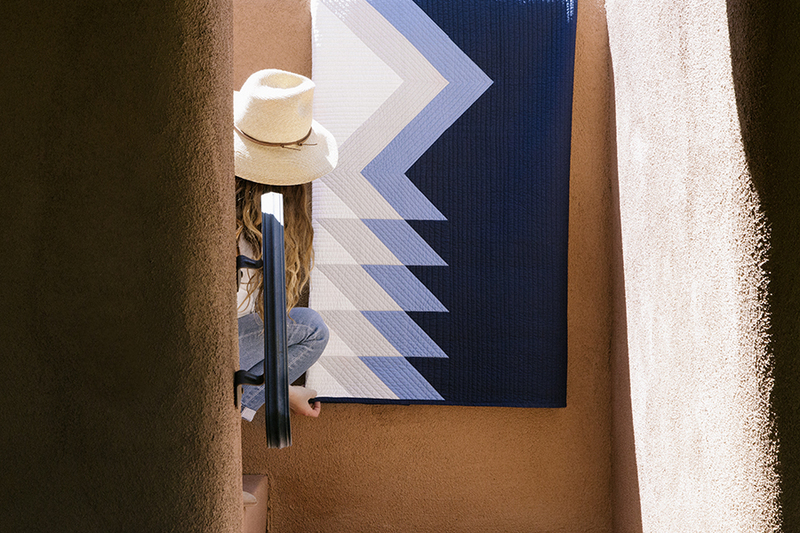 The quilt I chose from the book is titled Cielo and is in the New Mexico portion of the book. New Mexico? Yes! Although Kristi lives in Texas she is a frequent traveller and lover of all things Southwest so this is also an impressive travel guide as well. 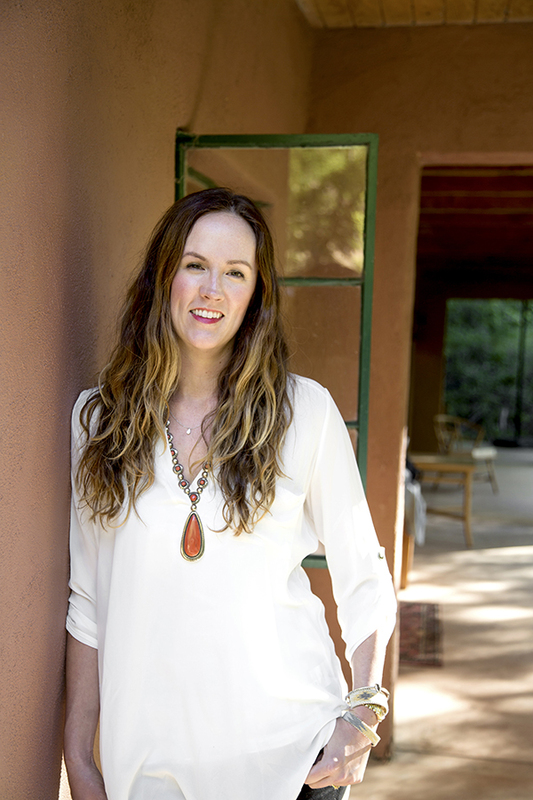 She takes her journey through the Southwest region of the United States and captures all of the beauty of Santa Fe, White Sands, and Marfa to name a few. Kristi not only shares images of the amazing landscape but also of the quilts she has designed that were inspired by these areas. 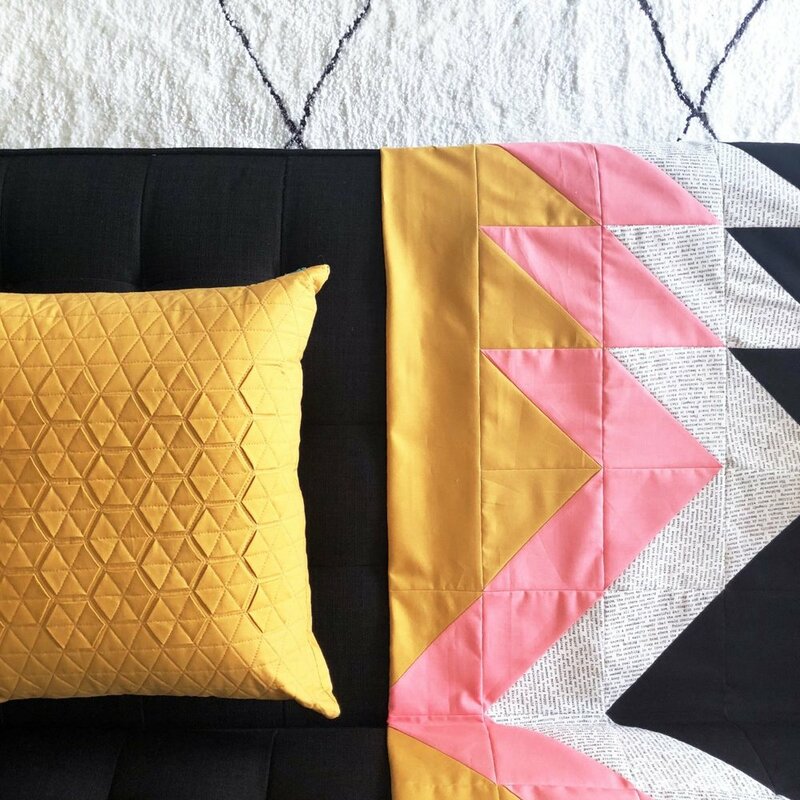 There is a total of 18 travel inspired quilts in this book and they range from mini quilts that you can whip up in a day to larger throw / bed size quilts. 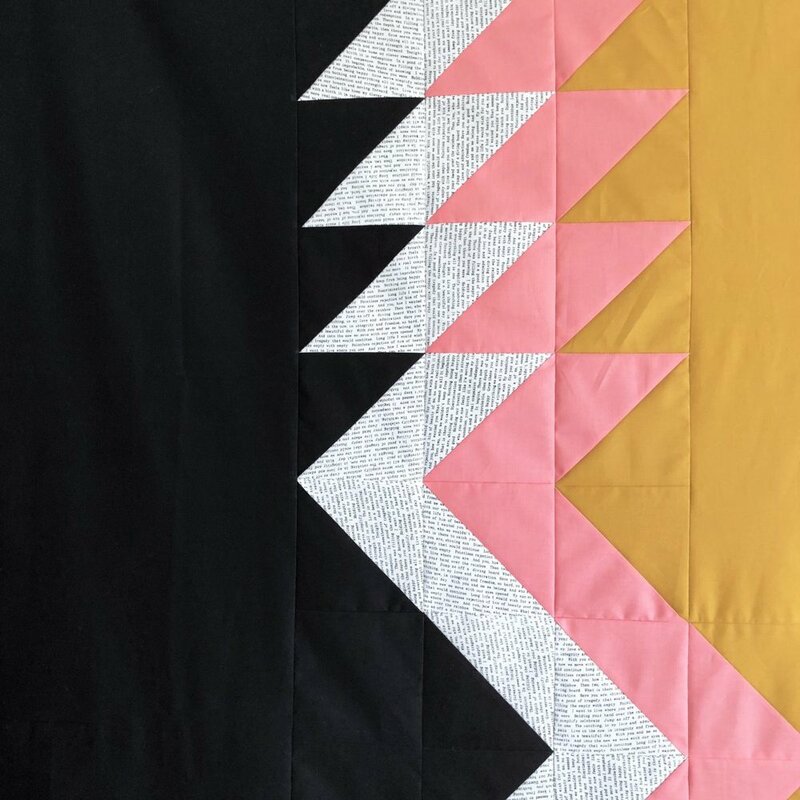 I hope you enjoy my take on the Cielo quilt below - I chose to use some of my favorite solids - Kona Flamingo, Yarrow, Black and an Alison Glass text print. I kind of get a DavidBowie vibe from this quilt - google David Bowie face paint if you don't know what I'm talking about. 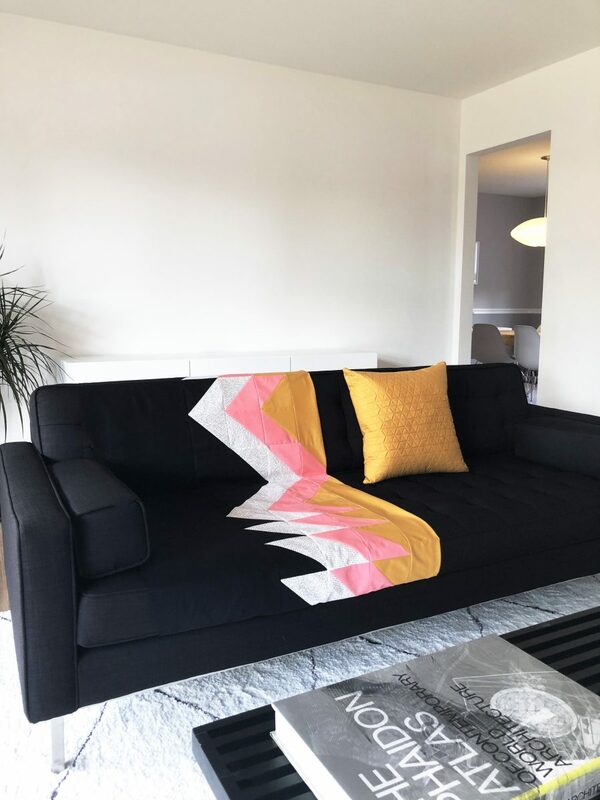 The negative space on this quilt is what initially inspired me to tackle this project and then one I started making the quilt I was a bit shocked.... it took me just over 3 hours to cut, sew and press this quilt top. What?!!! It was a super quick make and I cannot wait to have this quilted. Follow @modernhandcraft and @initialkstudio on instagram. Contest is now over - our winner is Lauren Dalton! Thank you everyone for playing along.